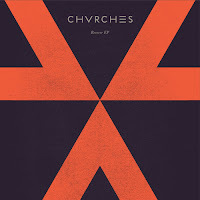 Our good Scottish friend Chvrches are back with their brand new single "Recover" following up the massive success of "The Mother We Share". It was always going to be a rather difficult ask to come up with something even remotely as good or better as the previous single but my word have they come close. Lauren's voice is heavenly, almost angelic and is just so well suited to those sparkly, heavy synths in this particular piece.